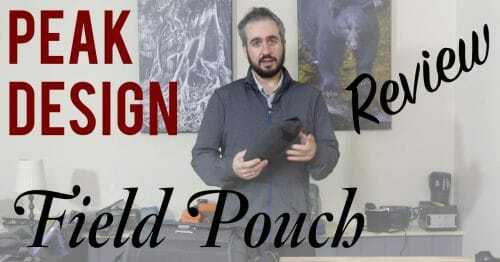 Not too long ago I reviewed the Everyday Sling 10L from Peak Design, and now they’ve launched a smaller 5L version. This new, smaller version comes in either all black, or the light grey Ash colour of the 10L one that I tested a couple of months ago. At only $100, this Everyday Sling 5L is hitting their lowest price point yet, and I don’t mind saying that they’re onto a winner here, right off the bat. 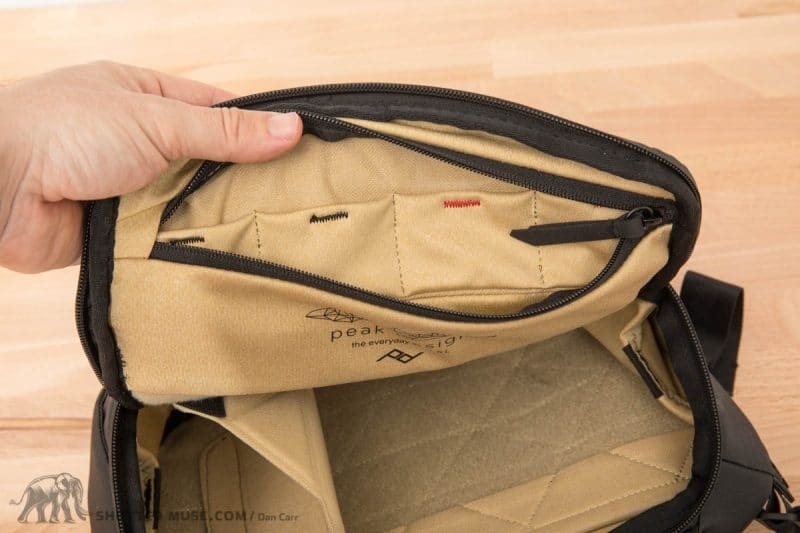 Over the last few years I’ve used and reviewed the entire Everyday lineup from Peak Design, and in the review of the Sling 10L I remarked that surprisingly, it was my favourite one of the whole lot. 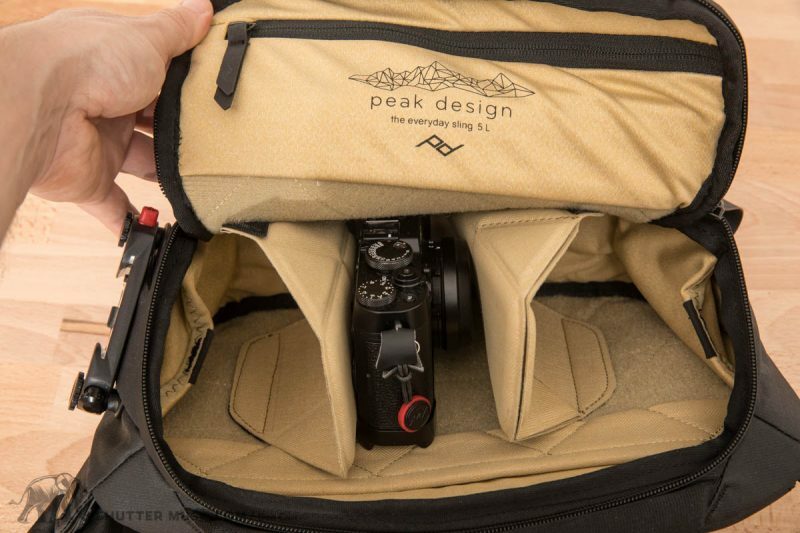 Peak Design have a very strong aesthetic with their carry products which is great if you like it, but on some of the products I have found a touch too much form over function. This wasn’t so much the case with the 10L sling, so I was excited to check out the new 5L sling when they told me it was about to be launched. 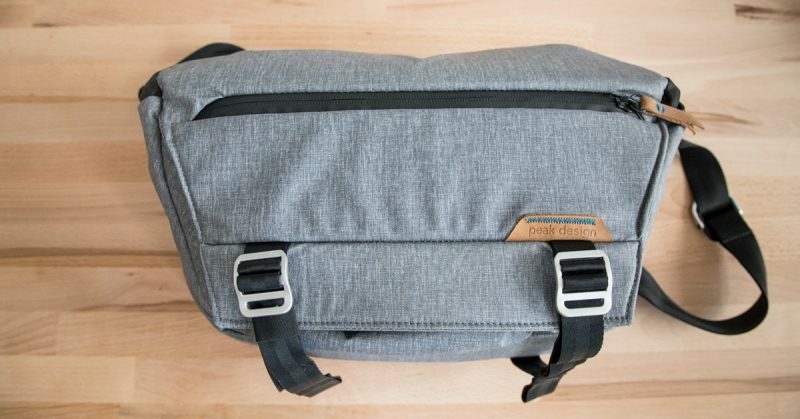 This bag is going to be a good fit for a mirrorless camera and 2-3 lenses, or a DSLR and 1-2 lenses, depending on size. It’s also the perfect size to carry your DJI Spark or Mavic drone kit. I don’t own those drones, so I couldn’t test it myself, but PD have provided a few example images of that particular setup. I’m a DSLR guy myself, so my first test was to see if a Canon 5D Mark IV would fit into it with a 24-105 f/4 L IS or a 24-70 f/2.8 L II. As you can see from the photos, it fitted with ease – even with the rather bulky Really Right Stuff L bracket in place. The 5D Mark IV is larger than a 7D, 6D, XXD or Rebel body, so anything similar is going to fit just fine. I was actually surprised to see that I was even able to fit a second lens in there in many cases. In the photos you can see a 16-35mm f/4 L IS alongside one of the standard mid-range zooms. On top of simply using it to carry a camera, I can see it being useful as a sort of lens changing bag with a three lens setup. 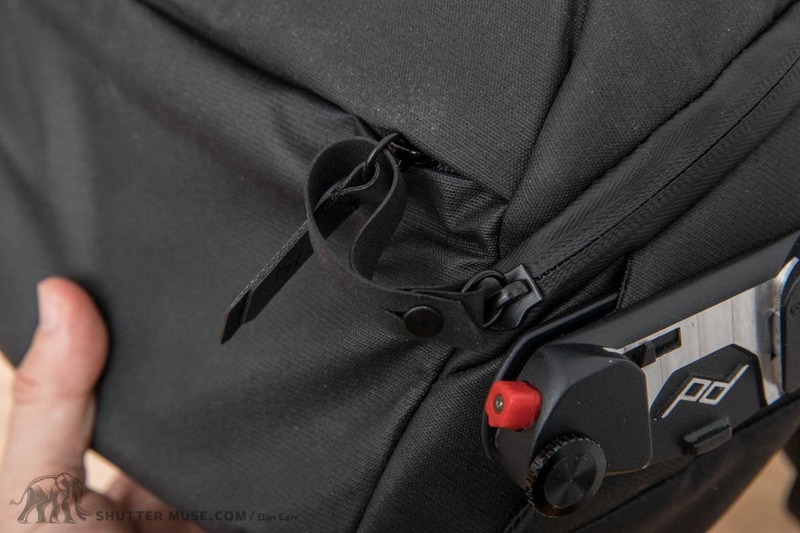 The exterior of the bag features a small rail on it for attaching a Peak Design Capture Clip, which means that you don’t actually have to carry the camera internally. 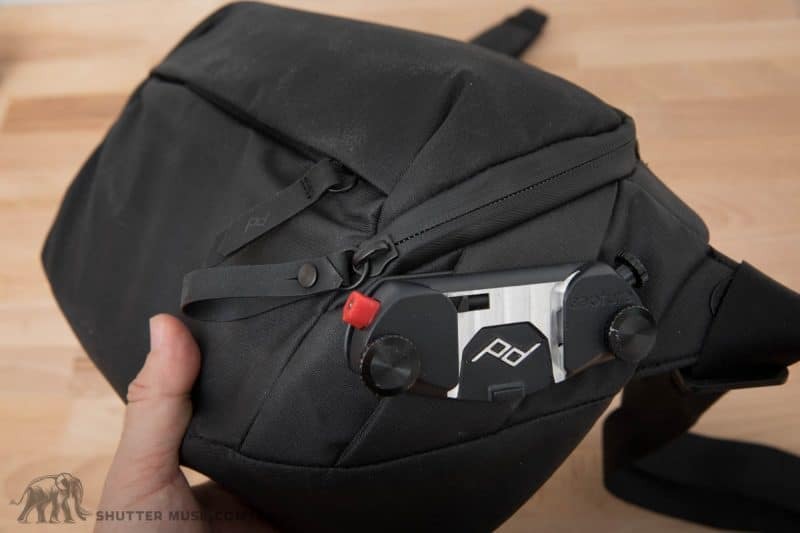 For quick access you might use the Capture Clip for the camera and one lens, and then the interior of the bag to carry another trifecta of optical options. 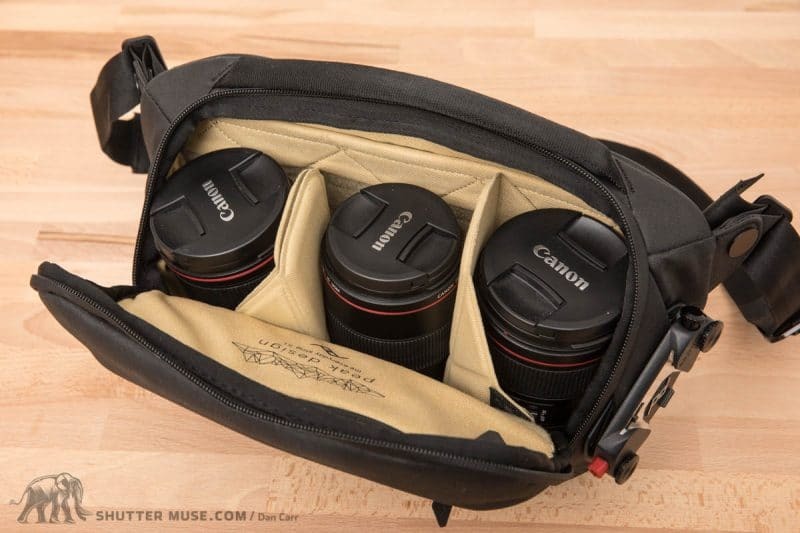 I like this idea a lot, and it’s hard to think of a more streamlined way to carry four lenses and camera, so long as you aren’t worried about inclement weather. 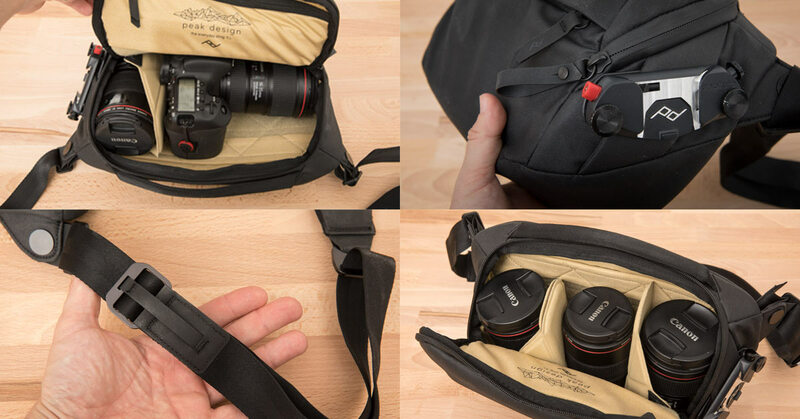 On the front of the bag is a small zippered pocket for accessories, but what you’ll notice is that you’re somewhat limited as to what you can put in it if you’re using a DSLR in the main camera section. The hand grip from the camera pushes into the front pocket, so hard-sided objects like a small hard drives or a large cell phone aren’t useable in that pocket. The whole bag is quite soft and malleable which adds flexibility to what can be stored in the main compartment, at the expense of what else can be stored either side of it. The same consideration should be taken with putting a tablet into the tablet sleeve. Doing so will decrease the usable size of the main camera compartment, and I’d be worried about trying to carry a DSLR and a tablet. 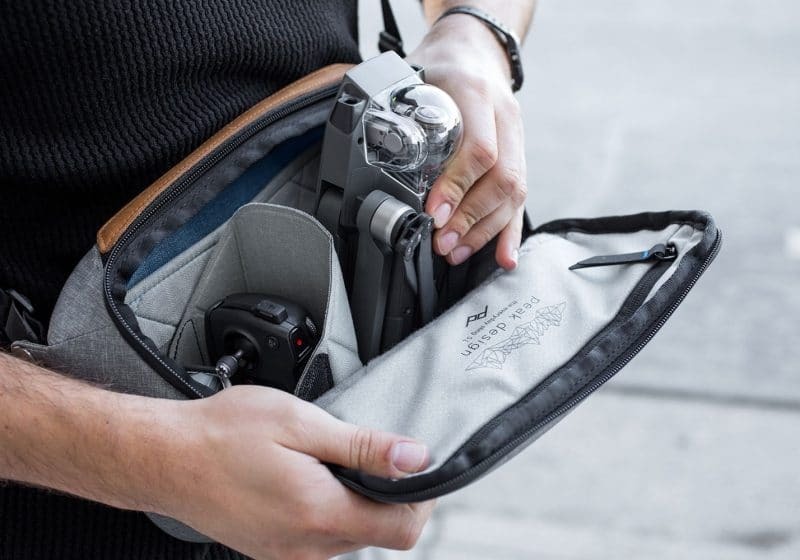 Unfortunately I don’t have a tablet to test this theory, but essentially, I wouldn’t recommend planning on stuffing ALL the pockets AND putting a one or two lens camera kit into this bag. 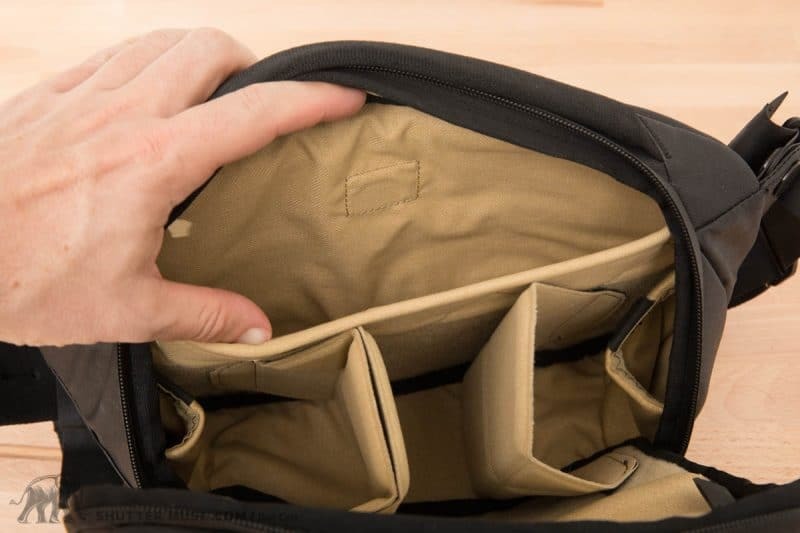 If you’re using the bag for everyday carry then these extra pockets give you a great way to organize things, but ultimately they will eat into the camera carrying capacity for bigger cameras. A tablet and a mirrorless kit should be fine though, and indeed that is what is shown on PD’s own website, as well as a DJI drone and tablet combination. The Capture Clip is an optional accessory. The whole Everyday bag lineup is designed to be rugged enough to use in inclement weather without the need for a rain cover, which is good because it doesn’t come with one, nor can you buy one separately. 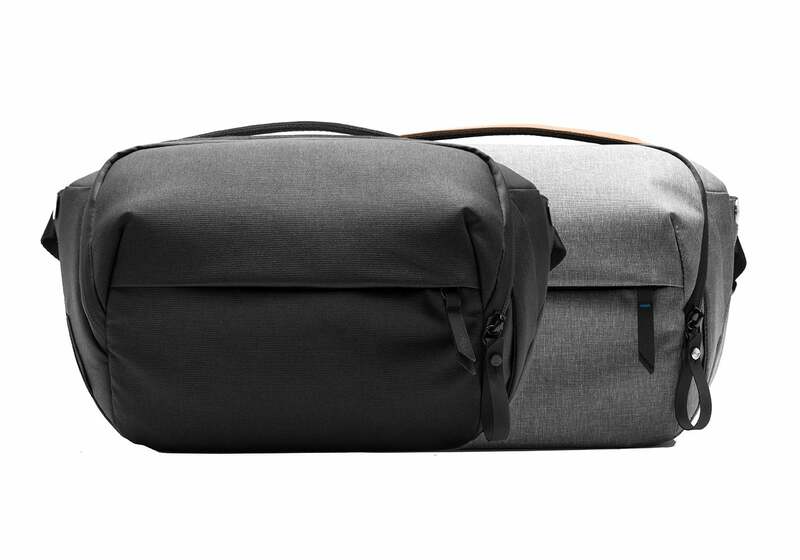 The exterior of the bag is weatherproofed with DWR though, and the zippers are also surrounded by a weatherproof rubber gasket. It’s not a “waterproof” bag, but I wouldn’t be worried about an average rain shower causing any issues. Along with the release of this new 5L bag, Peak Design also launched the new all black style, which is now available across the Everyday bag lineup. The black material is still 400d canvas nylon, but to me there’s something about it that just feels that bit more rugged than any of the other Everyday bags I’ve tested in the past. That material, along with the great zipper hardware, gives me a lot of confidence in the long-term durability of this bag. The shoulder strap of the 5L bag features the same shortening mechanism that was first seen on the new version of the Leash camera strap. Whilst it is a low profile and lightweight shortening mechanism, it definitely takes some getting used to compared to the slide mechanism from the larger 10L bag. 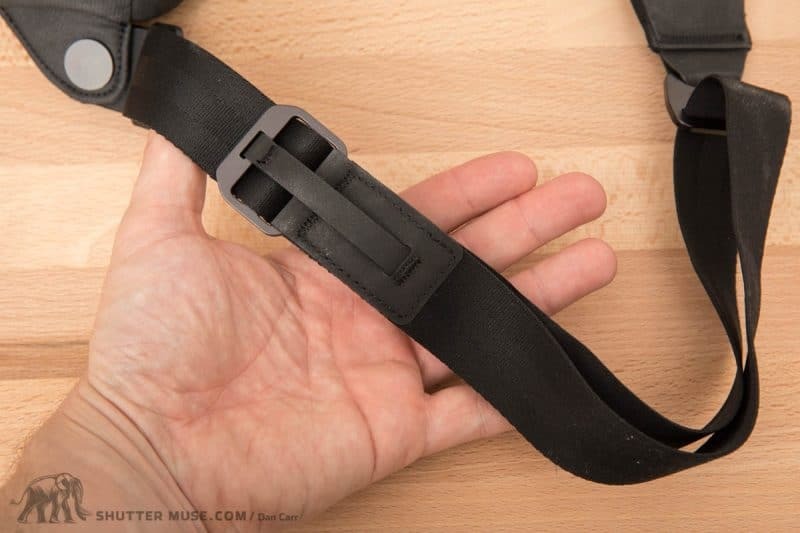 Rather than pulling the buckle down along the line of the strap to shorten it, you have to master a technique whereby you first pull it outwards away from your body. Thankfully there’s some diagrams included on the bag tag to help you get this figured out because it’s far from intuitive. Honestly, I can’t say I’m a huge fan of this mechanism because I don’t think you should really have to learn and then practice using a strap to get it right. 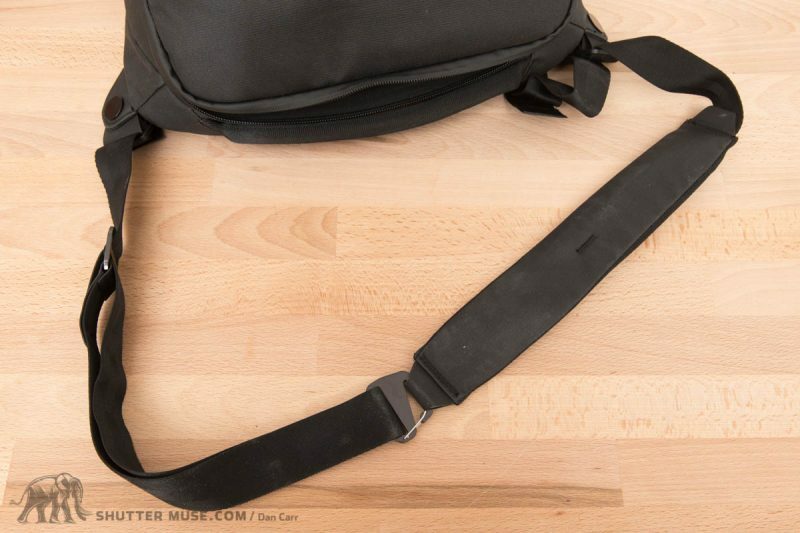 My assumption is that the slide mechanism from the Everyday Sling 10L, the Slide and Slide Lite straps must be more expensive to make, and simply couldn’t be included on a $100 product. Another Drone photo borrowed from Peak Design to show how nicely the Mavic fits into it. Interestingly, using the Sling 5L as a sling bag isn’t your only option. For this bag they’ve also included a way to wear it as a belt pack by shortening the sling strap and tucking the shoulder pad into a sleeve on the back of the bag. 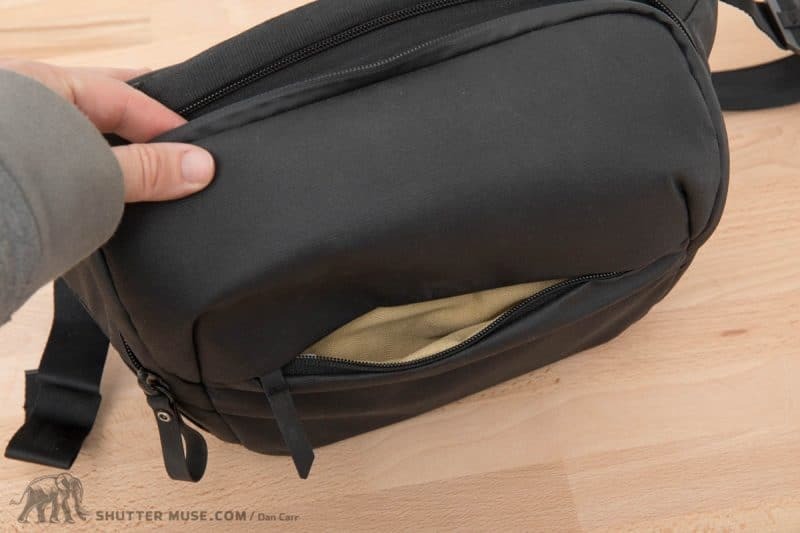 You’ll have to be your own judge as to whether that’s going to be of any use to you, but a knock-on effect of the idea is that they also made the main pocket zippers extend quite a long way down the front of the bag so that it opens extremely wide – I love this! You should e able to see how wide the bag opens, from the photos of the cameras further up the page. They call it a “portable workstation” in the marketing materials, and it could be useful if you’re shooting in a situation where you want to swap lenses very fast, or maybe add and remove teleconverters. The shoulder strap features minimal padding, but with the bag’s low volume, you can’t really make it all that heavy. 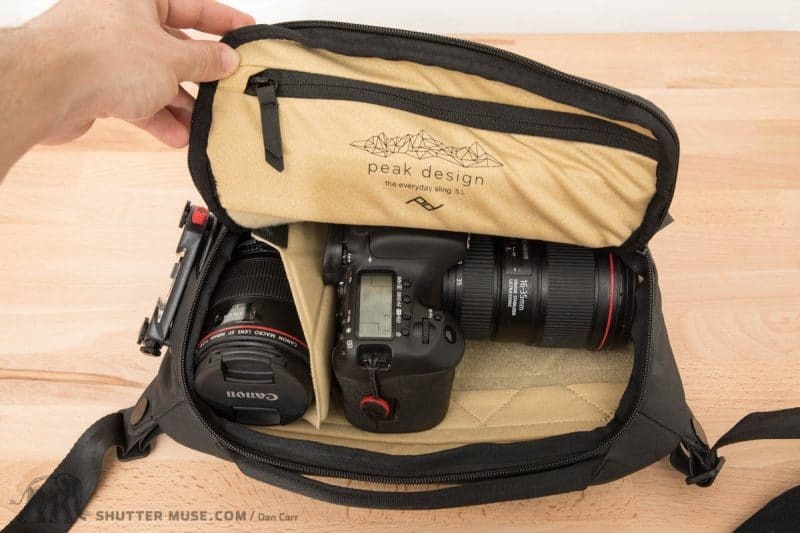 If this looks a little on the small size for your kit then clearly you should consider the previously reviewed Everyday Sling 10L and I’d also throw in the MindShift Gear PhotoCross 10 into that equation because it has a 7L volume which is similar to the Everyday Sling 5L. 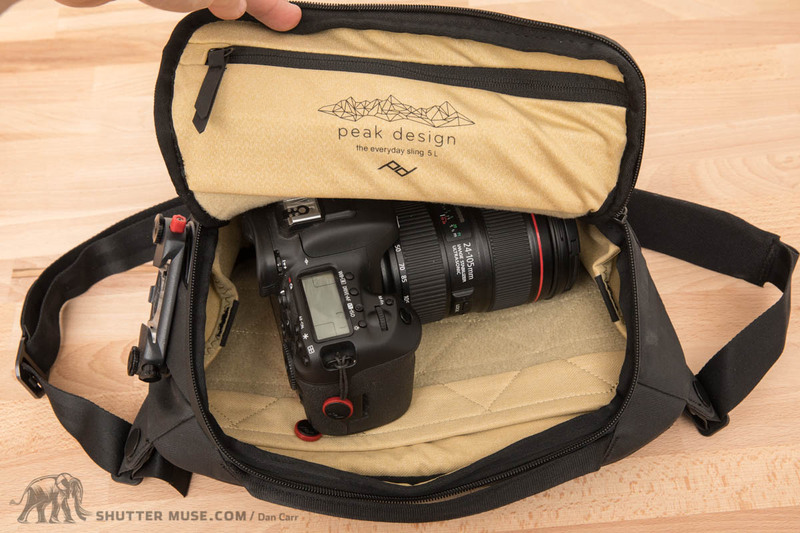 The MindShift bags are also as rugged as the Everyday bags, which is what really sets these bags apart from some of the other urban-styled sling bags that are available from people like Think Tank Photo. The Think Tank Turnstyle 5 is similar in capacity, and cheaper at only $75, but the Everyday Sling 5L has it beat hands down in terms of style and durability of materials. I’d definitely say it’s worth paying the extra $25 in that case. 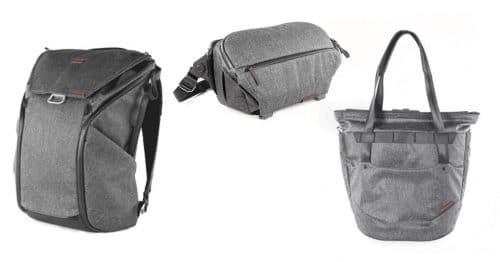 The Everyday Sling 5L is an impressive little bag for everyday carry with a small camera kit, or even just everyday carry in general. The weatherproof materials and zippers make it feel indestructible, particularly the awesome new stealthy black model which has a slightly different material style to the Ash and Charcoal bags available elsewhere in the Everyday lineup. I was worried that it would be too focused on mirrorless cameras and that a DSLR wouldn’t be at all suitable, but actually the generously large opening of the bag makes a larger camera very useable indeed, and it even held more lenses than I was expecting. If I had to be picky then I would say that I prefer the strap adjustment mechanism on the larger 10L bag, but it’s a small grievance, and likely contributed to the bag’s pleasingly low cost. If you’re looking for a small but extremely rugged sling bag for urban or travel usage, this has got to be near the top of your shortlist. great review. Could you carry it as a messenger bag? I have the 10l (my first sling bag) and I realised that a) I don’t like slinging bags constantly, and b) it ruins my clothes doing so as the bag rubs against the fabric. I otherwise love the functionality, and especially the weight, but would love to carry it more like a messenger on the side/low on the back. Do you think that’s possible? Yes you could. 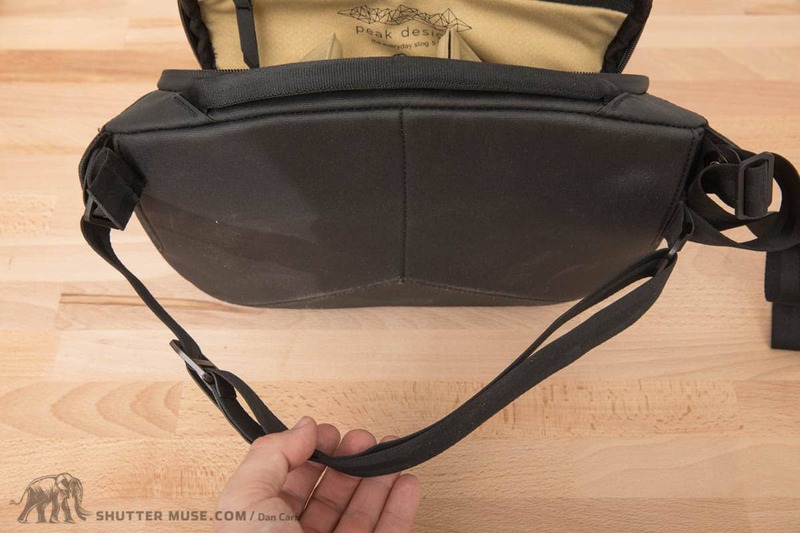 The main issue would be that the shoulder padding might not be in quite the right place because it’s not central on the strap as it would be with a messenger. Having said that, on this bag the padding is so minimal anyway that it’s not likely to be much of an issue. Is it me or the black seems to gather dirt more easily? That does seem to be somewhat true. Dirt does seem to cling to the black one a bit easier, but it also comes off it way easier with a splash of water. It doesn’t have the same nylon weave as the other colours as far as I can tell, so the dirt gets ON it but so much IN it if you know what I mean? Thanks for the reply! Do you mean “dirt gets ON it but ^NOT so much IN it”? I honestly love their charcoal series alot, the colour and its red details make it unique. Was considering black until I heard that it gets dirt on it easily. So I’m pretty much hesitating between these two colours. I mean for the 10L and the field pouch. Yes, sorry for the typo! The dust remains easily removable and not engrained into the fabric. It’s not something that bothered me really, just noticed it looked a bit dusty on a few occasions. I don’t think it looks bad, just gives it a slightly weathered look and cleans off easy enough. Thanks for the input! It helps 🙂 Love your detailed reviews too. Great review! How wide is the shoulder pad? Thanks Jerry! I’d say it’s about an inch and a half wide. Which isn’t very wide, but seems passable for the small loads that can fit in this. I had the Ash version of the 10L sling and it was indeed a tricky one to keep clean. I think people are blowing the “dirt magnet” status of the black one out of proportion. It’s not a big deal in my mind. The dirt doesn’t stick to it for eternity, it just seems to attract dust a bit more, maybe from static charge? But the dirt doesn’t stay on it. It doesn’t continuously look like a dirty bag. It looks like what you see in my photos, I didn’t clean this bag before taking pictures of it. Dan, thank you for your clarifications. I am happy to tell you that your review of the Think Tank’s Change Up also led me to try/purchase that product a couple of years ago. (But I still prefer my now fugly Hubba Hubba Hiney). I am still sticking with the black 5L sling. Great review as always. You’re welcome. Funny you should mention the Change-Up review. I stumbled upon it the other day and realized it’s nearly ten years old. I figured I should update it to review the V2 version of that bag, so you can expect that sometime in the near future. Cheers. Great review and one of the best i have seen… Thanks!! However I have a question that i cannot find. How well does PD Slide strap and this work together? Do they interfere with each other? Would you recommend crisscrossing the slide strap with Everyday strap or keep them parallel? Good question. Yess you would have to cross them and have the Slide strap as the top one. That would be a reasonable way to use both of them. There’s no way a surface pro would fit in this.